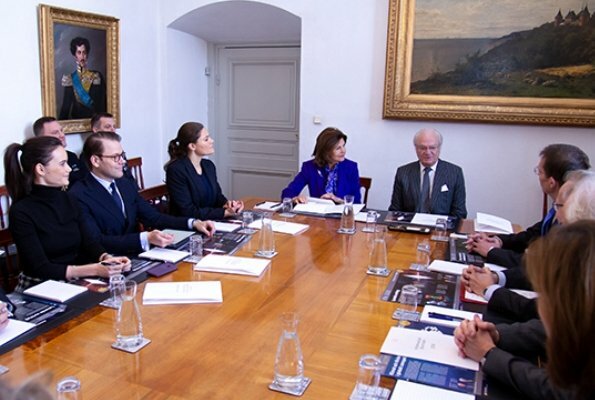 On December 5, 2018, Wednesday, King Carl XVI Gustaf, Queen Silvia, Crown Princess Victoria, Prince Daniel and Princess Sofia of Sweden attended a meeting held with representatives of Nobel Foundation at Stockholm Royal Palace. 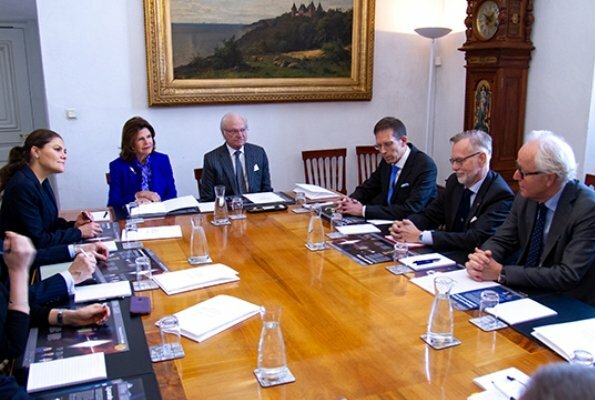 2018 Nobel Prizes will be presented by King Carl XVI Gustaf on December 10, 2018, Monday with a ceremony to be held at Stockholm Concert Hall. I admire how Victoria seems to be so much interested in where ever she is. Me too! She ones said in an interview that her mother, the queen, had told her that there is nothing more interesting than to listen to people. Everyone has something interesting to share. A very good attitude to have. :) Especially in their position. Pleae Sofia do not copy Victoria's hairdo! One can"t see to much of what they are wearing, it seems they are all well put together. Two Pss's and two ponytails. The royal family look professional and interested in what they are hearing. Getting ready for the Nobel awards is a lot of work, I would say. Lots of information and briefings. And they all look up to the task. As for the ponytails, I like them both. One high and one lower. Both princesses have worn them before. Nice to get your hair out of your face when you are concentrating and writing and reading. They look fantastic. By the way, Happy 34th Birthday, Sofia! !